EghtesadOnline: Drafted by the ICT Ministry, a bill concerning tax relief for startups is making its way up the bureaucratic ladder to help new businesses flourish and subsequently spur economic growth. Excited by the Economy Ministry's approval of the startup support package titled the Innovation Bill, ICT Minister Mohammad Javad Azari-Jahromi talked to IBENA on the details of the proposed legislation. According to the minister, the bill calls for tax exemption and insurance coverage for a window of three to five years for newly founded startups. According to Financial Tribune, Azari-Jahromi said, "The proposal aims to support new businesses, expand the startup market and ultimately create employment opportunities." Elaborating on the proposal, the minister said startups in the pre-seed and seed stages will be entitled to tax waivers. He added that the government and President Hassan Rouhani himself have backed the measure. The bill is set to be revised and later discussed in a Cabinet meeting in the near future. Asked about startups such as the ride-hailing Snapp and the e-commerce company Digikala, the official reassured the public that the firms should not and are not considered startups anymore and they have evolved into successful companies. "They do not qualify for the tax exemptions introduced in the bill." In the interview Azari-Jahromi also addressed comments by other officials. 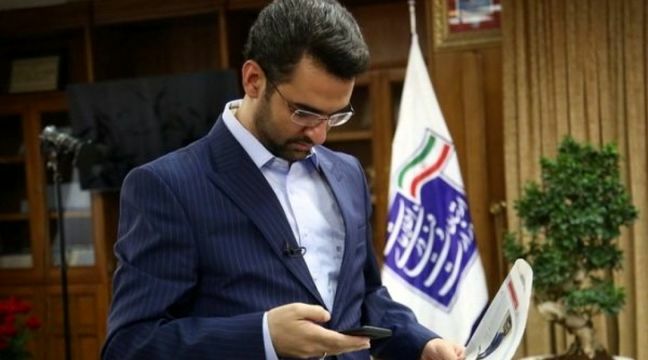 Recently the head of the Iranian National Tax Admission Organization Kamel Taqavinejad had claimed that Iranian startups have never paid tax on their revenues and the government merely collects value-added tax from them. Azari-Jahromi negated the comments, saying startups have always paid both VAT and income tax. In a bid to curb the country's overreliance on oil, the government of President Hassan Rouhani has been heavily investing in knowledge-based companies and startups to boost economic growth.